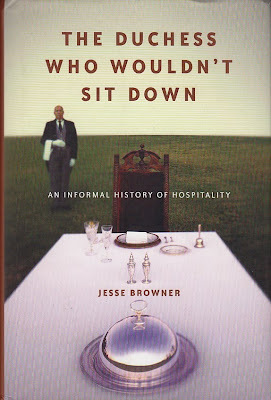 Jesse Browner wrote this charming little book on hospitality entitled The Duchess Who Wouldn't Sit Down. The title comes from an incident at Versailles. My fault with this book, like so many others, is he lack of an index. Also, especially since the story of the Duchess is the title story, he never fully names her and frankly, she suffered enough without even allowing us her full name. Well here it is, the Duchess in question was Princess Suzanne Henriette of Lorraine-Elboeuf. 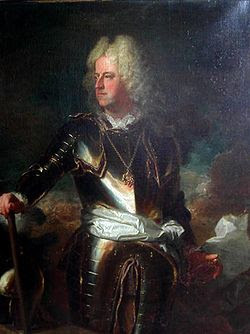 She was the second wife of Duke Charles Ferdinand. I searched for an image of her, but to no avail. Of course, there is a big old picture of him. The Armchair -- reserved for the King and Queen. The Straight Backed Chair -- armless chairs reserved for the prince and princess of the blood, cardinals, foreign princes, and duchesses. Tabouret -- a low stool with fixed legs which was the most fluid of the seating options. Generally, it was reserved for dukes, foreign princes, Spanish grandees, and noblewomen. Madame de Sévigné referred to the stool as the "sacred tabouret" because, while one could never become King, one could be made a duchess. The phrase "take the tabouret" came to mean to assume one's position at court. Ployants and placets -- folding stool and cushion, respectively. Courtiers were allowed to sit on these while everyone else was required to stand. The Duchess of Mantua visited Versailles expecting the full regalia of her rank. She expected to be seated in a straight-backed chair befitting a duchess, instead she was offered a tabouret. She refused to be seated on the stool. She was sent from court, which ruined her social standing. Though she tried to regain some semblance of standing, she never did and died at the rip old age of twenty-five. While the Duchess of Mantua was correct in demanding her chair, she forgot she was dealing with Louis XIV, who believed himself invincible and above the prescribed etiquette of the day. In the end, one should remember that phrase that Mama always repeated, "Sit where you are told to sit." Interesting story! 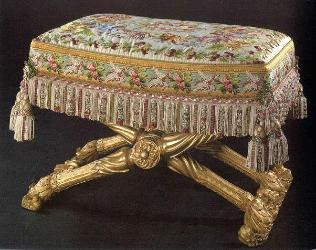 The Tabouret in the photo looks like the ones used in Marie Antoinette's bedroom at Versailles. It has her summer fabric on it. Etiquette ? no thanks ... these thing are only for those who like robots.